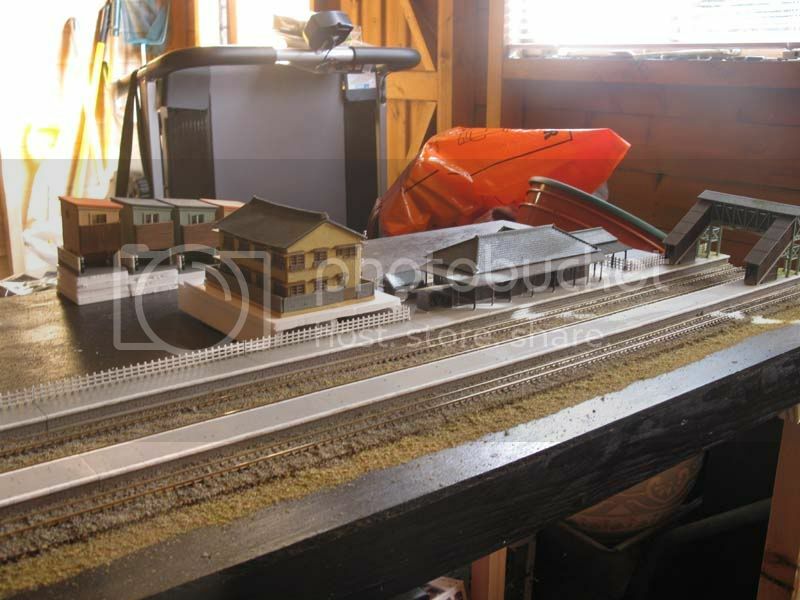 I mentioned a little while ago that I have an N gauge terminus layout under construction. For the last couple of months it has been away at a friend's house for the wiring...he is an expert at this, whereas I can just about wire a plug! 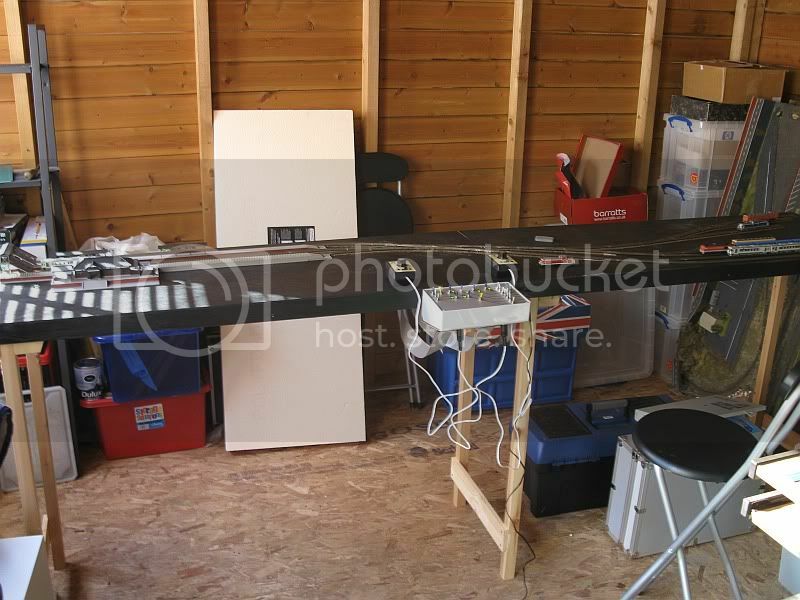 Now it is fully wired up, I have taken delivery so the real fun can begin; the scenery. 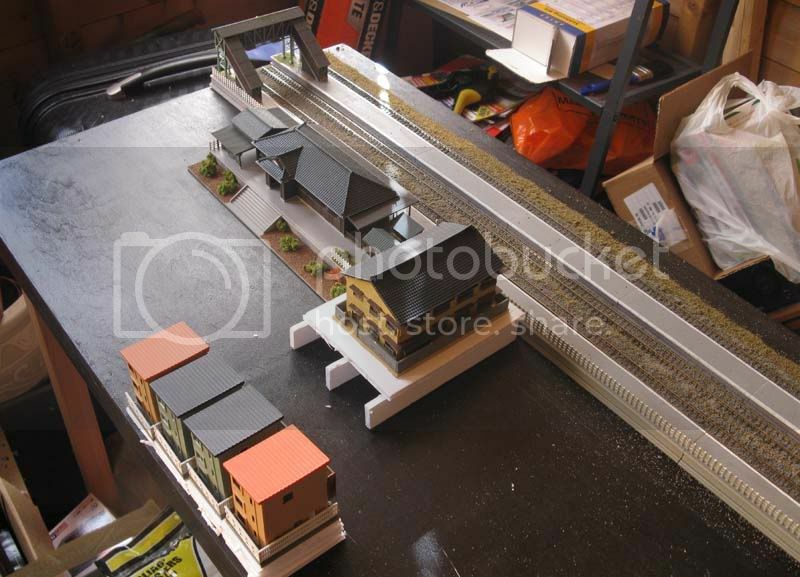 Scenery is still being planned, however the station building, with platforms, is in place and I am currently going about the serious business of playing trains to bed it in, as well as flush out any issues before the ballast goes down in a couple of weeks time. 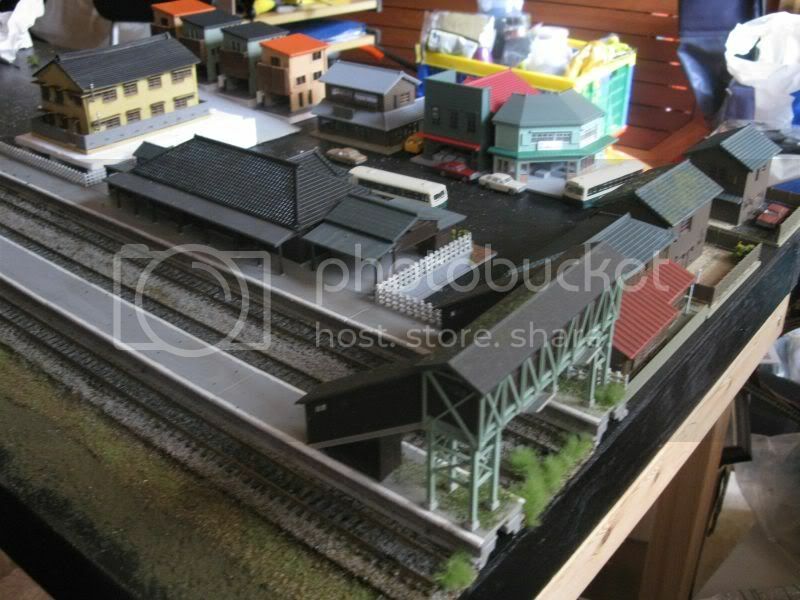 It will be set in a small town in central Honshu...deep in JR Eastern territory, and depicts a terminus junction between the 'main line' (JR Eastern operated) and a third sector branch. Unusually for the more central areas of Japan, this is a diesel line, almost exclusively operated by DMUs, with a small freight transfer between the lines. The intention is for it to be an exhibition layout, with the aim to be more or less complete by next February. I have, as yet, to devise a suitable name. 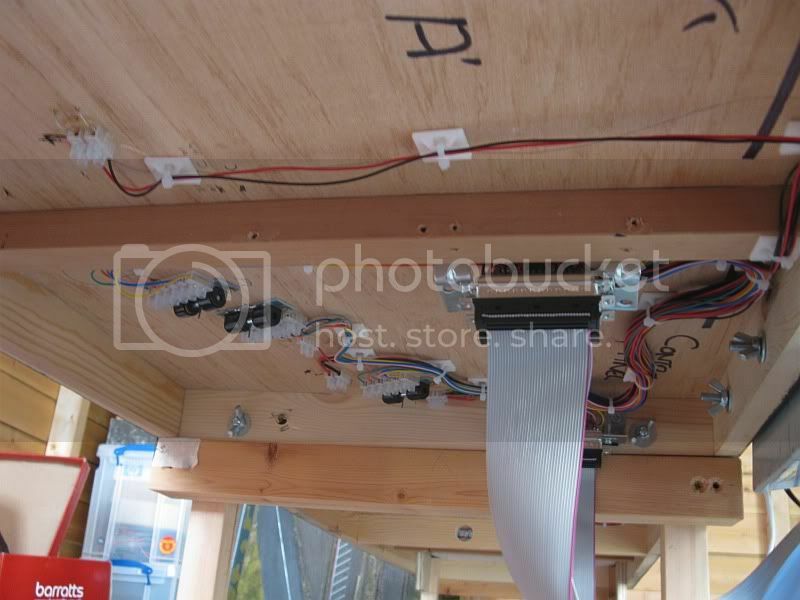 Example of some rather neat wiring! Station, with an unsual visitor! 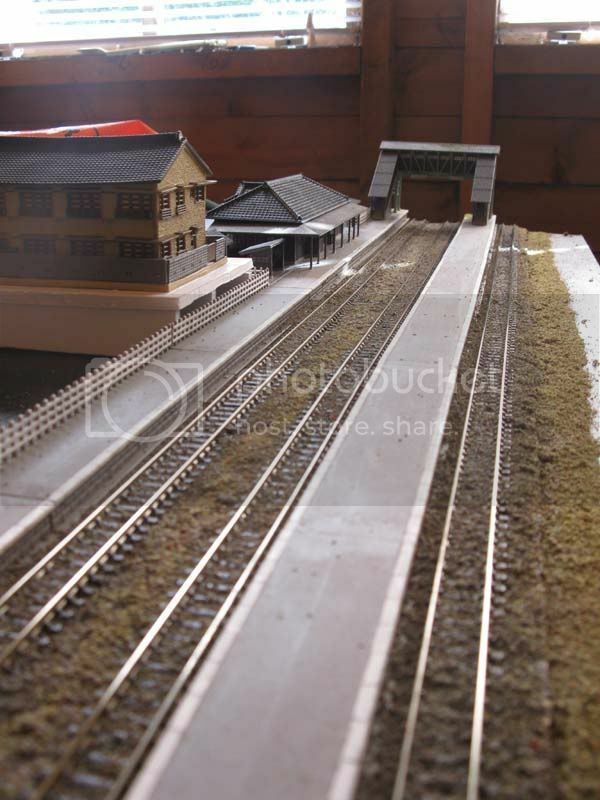 Fiddle yard area with stabling sidings. A Shark brakevan. 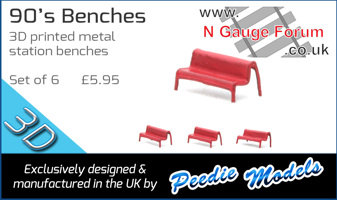 This is one of the N gauge society kits, along with the ballast hoppers accompanying it. The Minitrix model is a beautiful example. 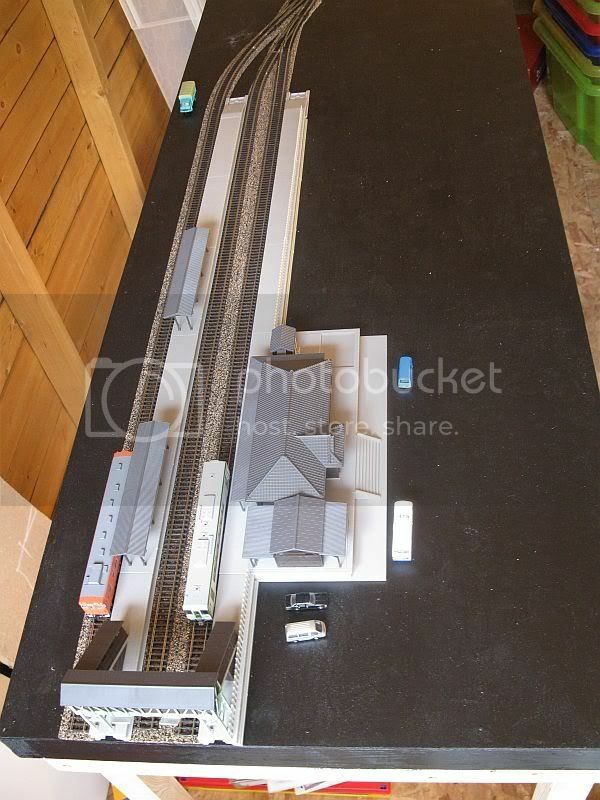 I especially like the fact it will run either from the track, or from overhead wires; should the fancy take you... 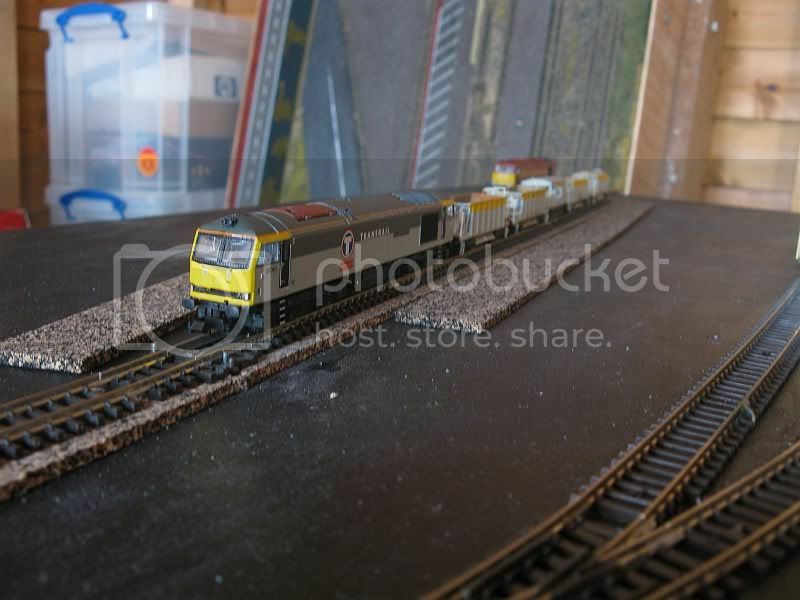 Indeed, there are a couple of us with NS trains, which operate this way, and consideration is being given to a small Dutch layout where power is provided from the OHC. 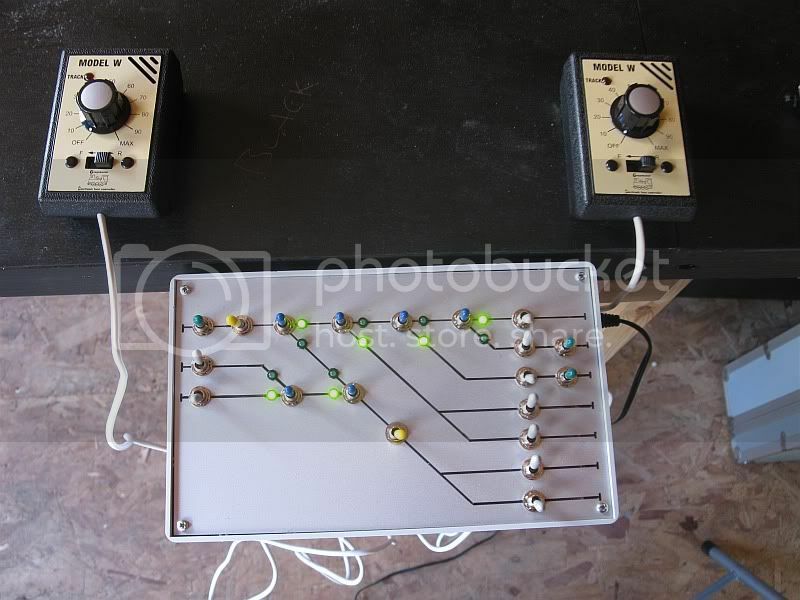 That layout looks a solid construction, including the control panel. 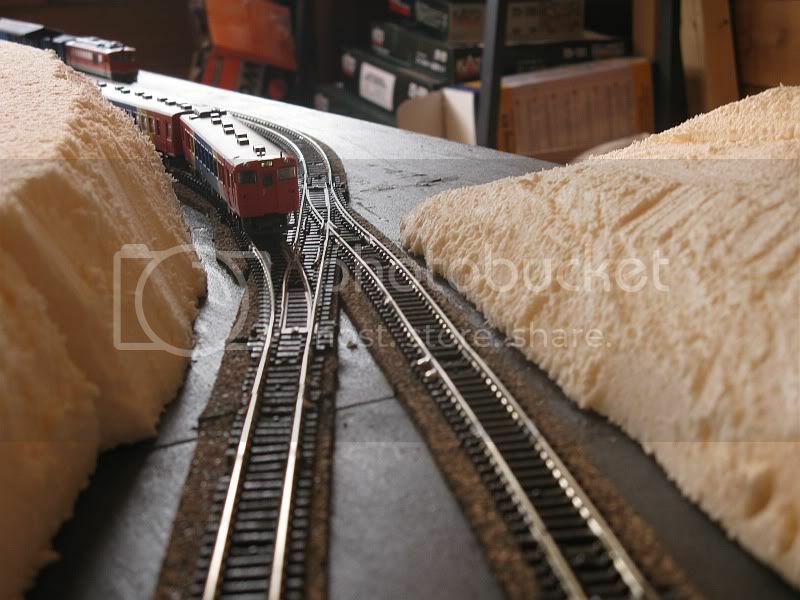 I'll have to work out something similar since all those amassments of shifters such as I'm currently using are not quite a fun to operate on a larger layout. 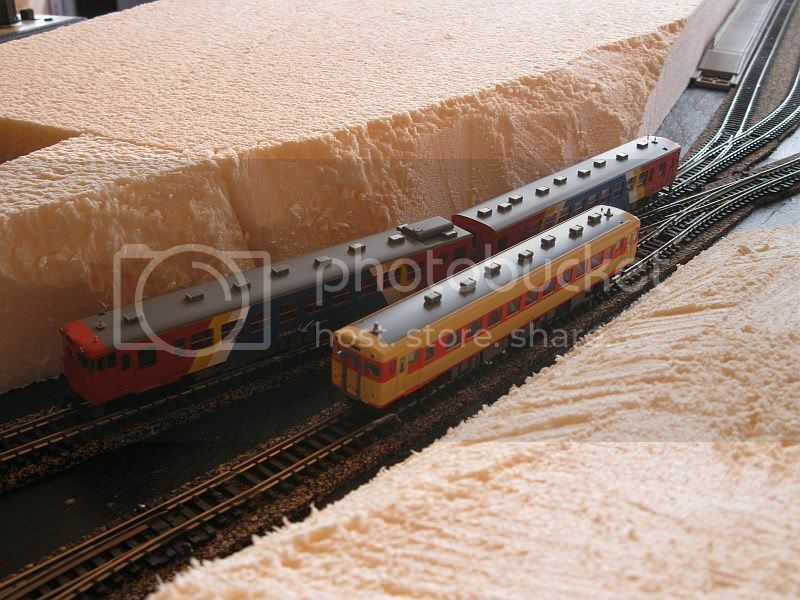 Indeed, there are a couple of us with NS trains, which operate this way, and consideration is being given to a small Dutch layout where power is provided from the OHC. 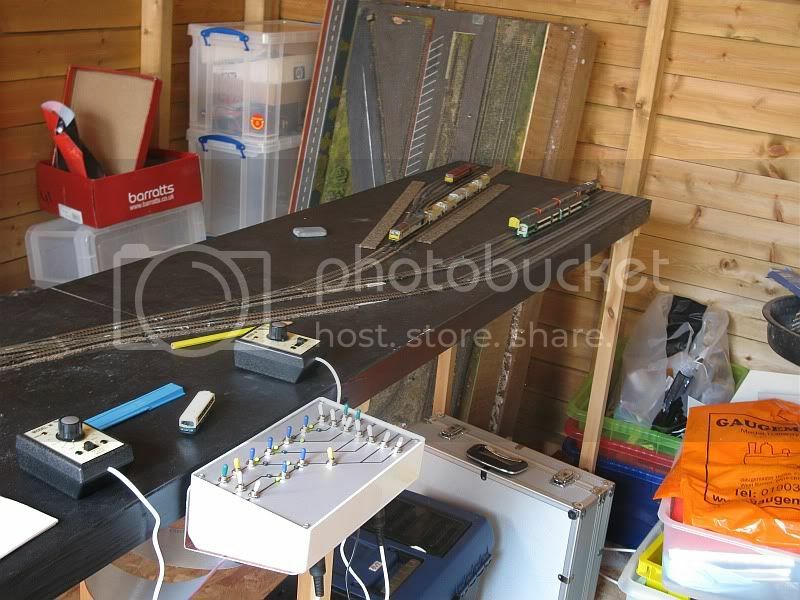 I heard of problems with electric contacts and data transmission when operating OHC on DCC layouts, concluding this should be avoided. 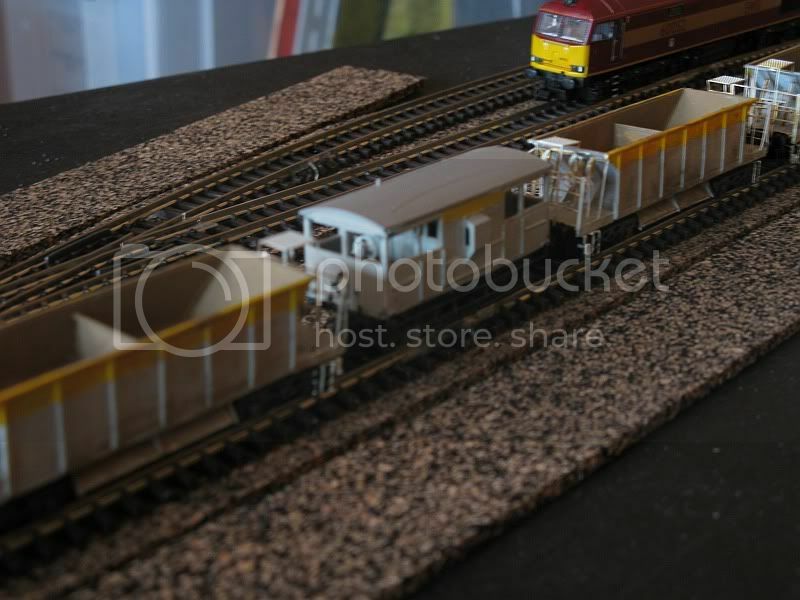 Thats looking lovely, and it'll be great to be able to mix Kiha's with some electric stock. Are you going to fit overhead catenary towers? Currently the EMUs are running as part of my 'Anything goes' testing. 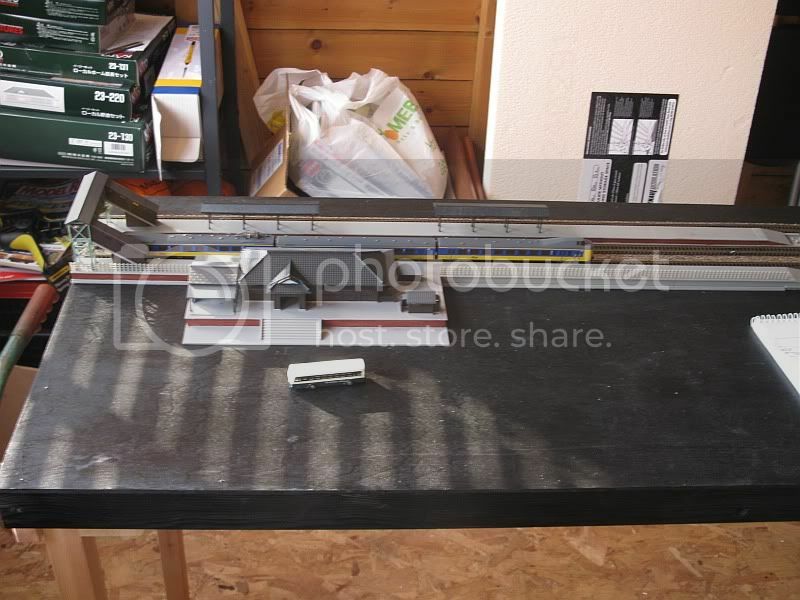 Once complete it will be a diesel-only branch...our club layout has the catenery (Kato) for running the electric units. More progress today, with the start of the scenery. Currently this has not been fixed down as yet, and is still being played with in terms of height. The area to the right of the last picture will be the town...this rather flat area will be graded to give more interest. Still plugging away...a lack of computer has led to me being unable to upload photos for the last couple of months. More progress today, including more or less completing the station - there are still a couple of bits to do regarding the platform canopies, such as adding transfers, seats and other paraphernalia. 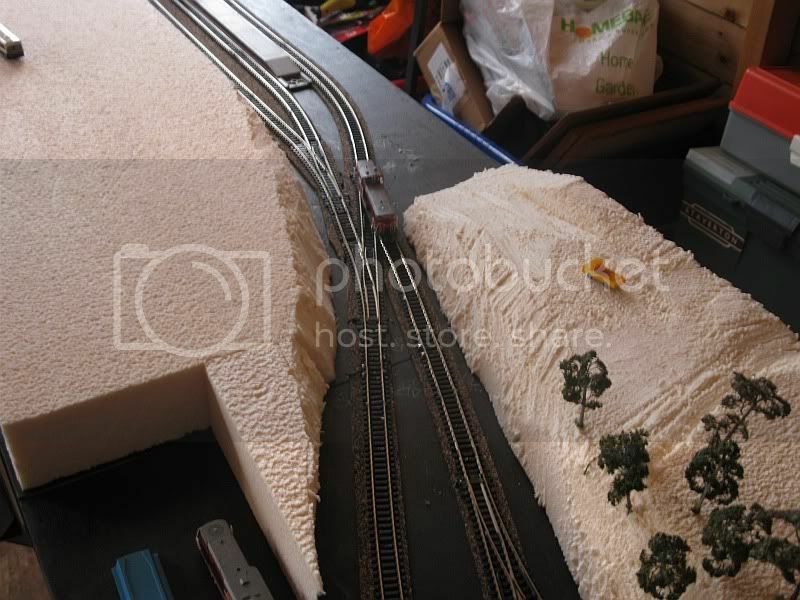 More work has also gone on the ballasting, with a little extra 'greenery' (actually more 'yellowery', as the layout is set in summer and most of the grass has dried out). 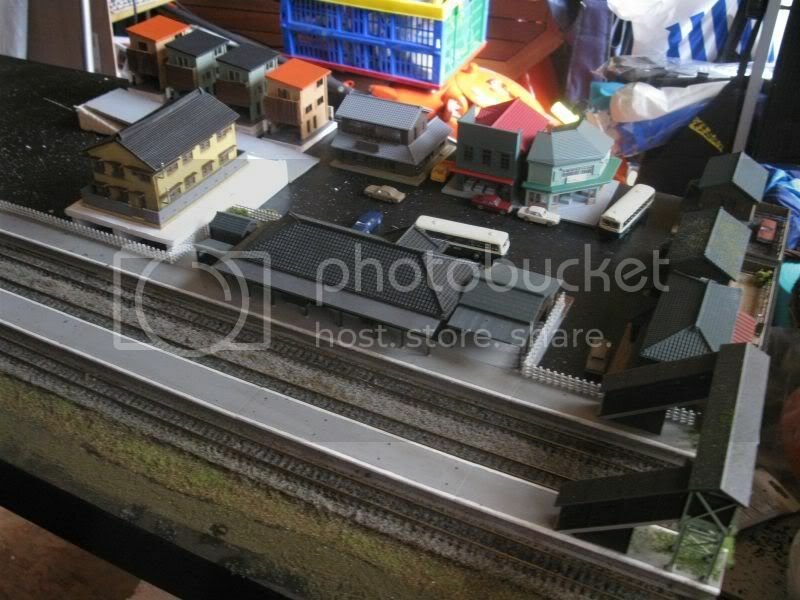 I have also made a start on the superstructure of the scenery behind the station. 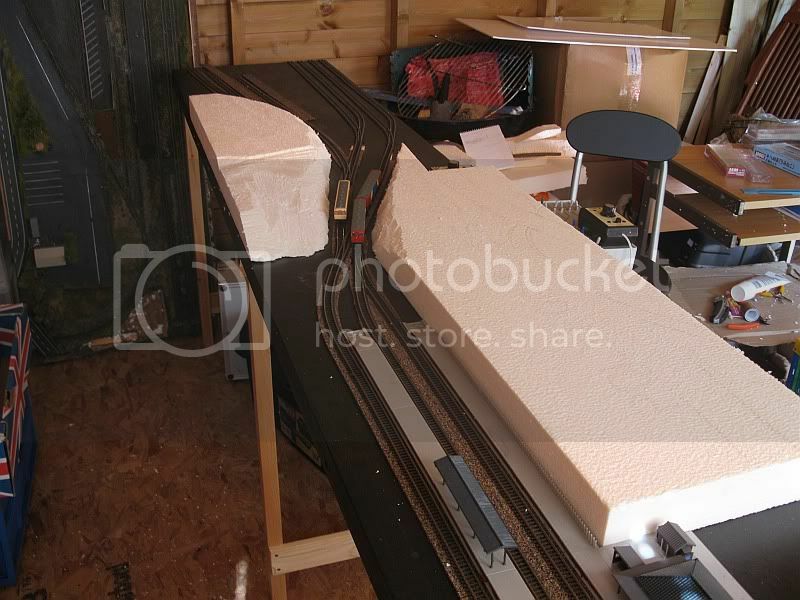 Originally this was to be entirely of foam construction, however it is a bugger to sculpt, and makes quite a mess, so the more fiddly areas will be foamboard construction, with the insulation foam being used for the chunkier sections. I have a number of buildings, however as a starter we can see a few Tomytec offerings in more or less their situations. The station area is a little more advanced from the previous picture...but not much! Your layout id looking great so looking forward to future developments. Work is still progressing slowly but surely here, with the addition of a couple more buildings for the town centre. So far I have painted roofs, as well as add some details to gardens. A Kato Toyota Crown saw a lick of paint, and is now fixed to the back yard of one of the buildings. 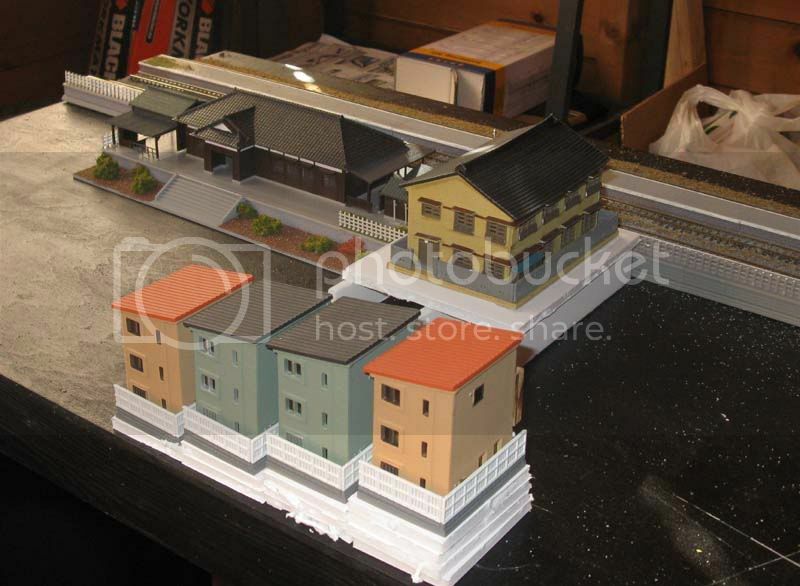 Mainly this area will be commercial, with a few shops, restaurants and a building doubling up as a small Ryokan (the one immediately to the right of the station building on ground level). 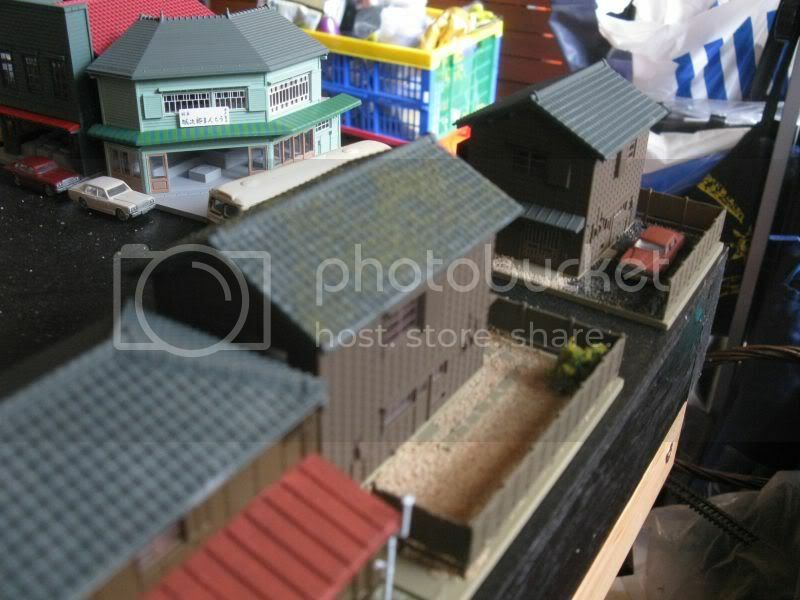 I have also given some of the buildings a coat of 'matt-cote' to take away the glossy shine of some of the plastic. I really have to tidy that shed! It's coming along really well, Claude. Town Centre is looking great! Where did you get the Southern Turbostar? 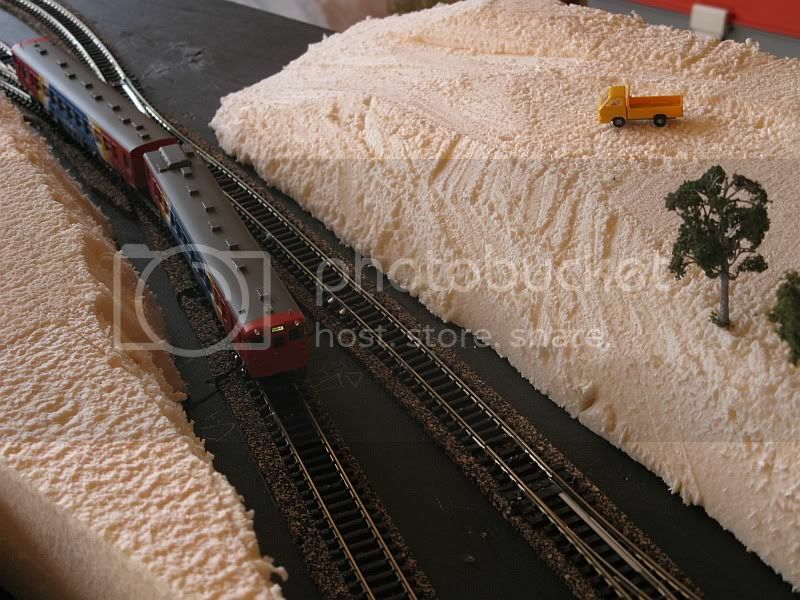 Your layout is looking great Claude, have to hand it to the Japanese layouts as they always look bright and cheerful, are you going to plant some of those beautiful blossom trees that I have seen on Japanese layouts over here in Oz ?. Page created in 0.269 seconds with 44 queries.